Trainers Joe Kinworthy and Jason Church are pictured with trainees at the first-ever BAUER OT-B Drilling Rig Operator’s Training at ECA Pittsburgh in Coraopolis, Pa.
Equipment Corporation of America (ECA), a distributor of foundation construction equipment, held its first-ever BAUER OT-B Drilling Rig Operator's Training from May 7 to 11 at its Coraopolis, Pa., headquarters. The course comes in the wake of the 100-year-old company being designated a regional training center of BAUER Foundation Equipment, a rare honor granted by BAUER Maschinen. 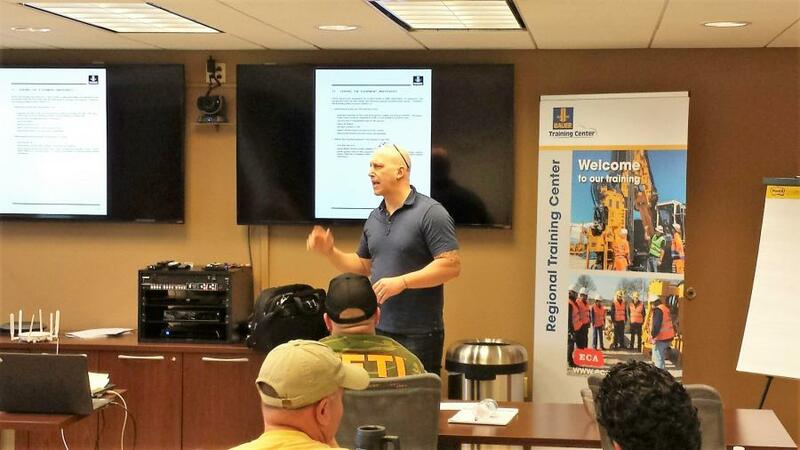 ECA trainers Joe Kinworthy and Jason Church tapped into 45 collective years of drilling rig experience to help operators from several foundation drilling contractors improve safety and productivity. The course focused on such topics as drilling rig stability, safe operation, ground conditions, safe working platforms, productivity and new technology. 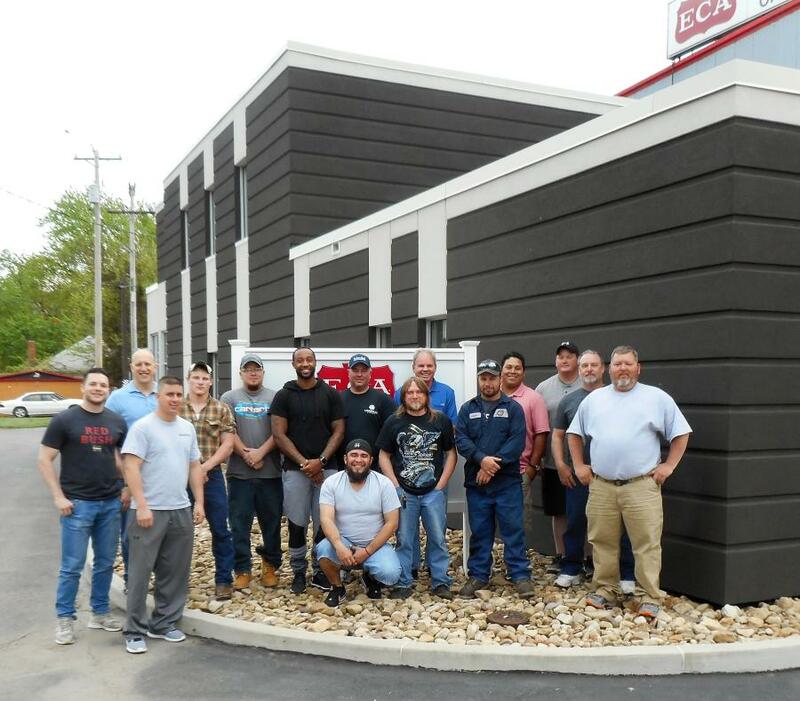 ECA can host a customized training session or bring the program directly to a location of your choice. Contact Dave Schell at 301/599-1300 or dschell@ecanet.com for more information. For more information about ECA, visit ecanet.com.